Afternoon arrival at SrinagarAirport, Transfer to Houseboat. Evening free time at leisure and Shikara Boat ride from Houseboat to Nehru Park, char e chinar, back to houseboat. O/N Srinagar. Morning After breakfast leave for Pahalgam. 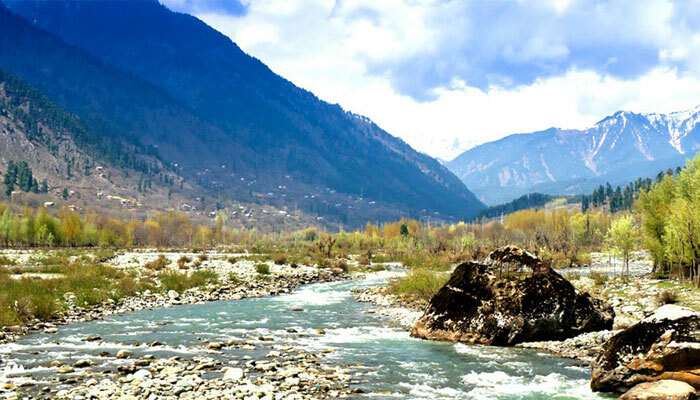 Pahalgam – Land of Shepherds. Situated on the Banks of lidder River. Enroute Visit to Famous Avantipura Ruins & Biggest Saffron Field in the World. O/N Pahalgam. After Breakfast visit to Chandanwadi with BetaabValley and later visit to Aru Valley & Back(Own Cost). O/N Pahalgam. Morning after Breakfast leave for Srinagar, later post lunch leave for Srinagar local sightseeing by visiting, After lunch leave for Srinagar. Later leave for local sightseeing by visiting Nishaat & Shalimar Baug, Chashme Sahi & Shankar Acharya Temple. O/N Srinagar.Gulmarg. Morning after breakfast leave for Gulmarg, stands for a Meadow of Flowers. One of the Best Hill Station in the world, Highest Golf Ground in the World, later leave for Gondola Cable Ride (Own Cost), from top where you can have a magnificent view of peak of Nanga Parbat (9th Highest peak in the world – POK), later back to Srinagar. O/N Srinagar. Day 06: Srinagar – Sonamarg – Srinagar. Morning after breakfast drop at Srinagar airport. Journey ends here. Above rates applicable between 15th July – 31st March 2019. Complete Journey by Individual A/C Vehicle, as per above tour plan. Dinner & Breakfast at respective hotel / houseboat mention. Driver Allowance, Parking Charges, Toll Charges. Visit to Aru Valley & Chandanwadi with Betaab Valley by non A/C Maruti Van / Sumo Vehicle as per availability by Pahalgam Taxi Union. 1st Phase Gondola Ride at Gulmarg. 1 Hr of Shikara Ride at Dal Lake.